With the beginning of FIFA World Cup tournaments in Brazil, Football fever is going viral across the world. Soccer or Football is the most popular sport in the world with billions of fans who don’t even miss a single tournament. Now, this is the most awaited and rejoicing atmosphere for Football fans as well as cybercriminals right now. For bad actors, the World Cup is a perfect opportunities to scam people online. While you are busy figuring out websites where you can stream live Fifa Matches on your PCs without missing a single moment of the world cup tournament, cyber criminals are also busy to launch phishing attacks in form of scams and malwares in order to victimize the system by several Trojans and viruses. This isn't surprising as cyber criminals have become smart enough to gain from every possible eventuality they get and their prior/common target is every time the users’ interest based major news and current events. The most popular threat this World Cup targets users in the form of phishing attacks. 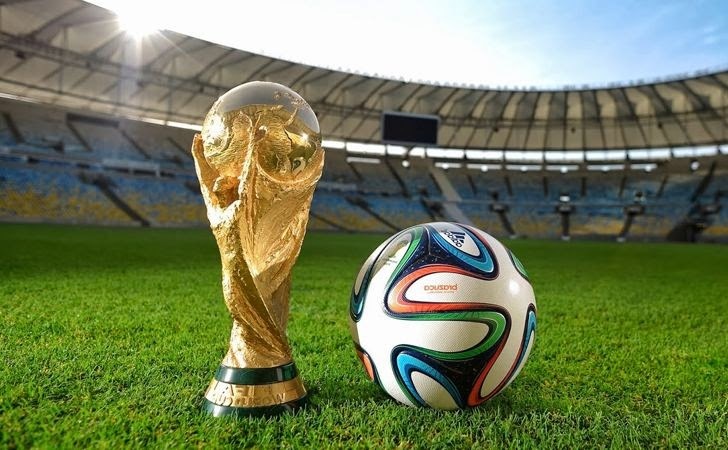 You may see links in messages over emails and social networking sites serving attractive contents of this World Cup such as Free Tickets, merchandise, news and footage of highlights, online streaming videos of footballers behaving badly and many more. But once clicked, the victims are redirected to the malicious websites that trick users into revealing their private information or installing malicious softwares in order to put their computer systems at risk of malwares and viruses infection or identity theft. Researchers at the security software maker firm, Symantec, have identified several email scams and in coming days, they also expects to see these scam attempts targeting Soccer fans on social networks as well. The most common scam is Free Tickets to World Cup 2014. In this Football fevered atmosphere, everyone is seeking to get a free pass or a ticket to the tournament in Brazil and What if you won an all-expenses paid trip to Brazil? It’s really like a dream comes true for any Soccer fan. The security firm has identified several emails that contain a malicious zip file and inside it is an executable file. Once executed, it will allow your computer to be taken over by Trojans and remote administration tools. Apart from free tickets, news and highlights about different World Cup teams and players can also be used to thwart users into opening up malicious attachments or clicking malicious links. Researchers have discovered emails that are currently circulating about Neymar da Silva Santos Júnior, a young star player with the Brazilian national team. The email have a malicious word document that could exploit a known vulnerability in the victims’ Microsoft Word. Once the FIFA World Cup begins, cyber criminals starts targeting users by emails and social networks’ scams that claim to provide free live stream of various matches. Before you can unlock access to the live stream, it first ask you to fill out a survey or download and install software in order to fetch money from your pockets. If you are served any link for free tickets to World Cup, consider it as a scam because free stuffs are never free. If you have to watch live World Cup match, check your local service providers to see where and when you can catch World Cup games online. Avoid unknown sources to know happenings of your favorite teams and players; visit only official news websites. If any site ask you for password or credit card information, double check it before proceeding. Beware of links that either lead you to any application or external Website. Make sure you have installed an updated Anti-virus solution to avoid latest threats.